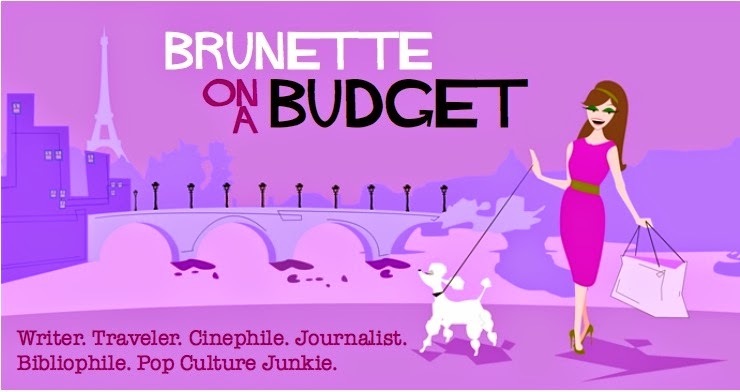 Brunette on a Budget: Who's more "money," blondes or brunettes? It's an age-old question with no clear-cut answer: Who's better, blondes or brunettes? The Jackies of the world or the Marilyns? The Kelly Kapowskis or the Kelly Taylors? You get the picture. Well to quell any financial inquiry into the benefits of either hair color, earlier this year CNBC did a fun scan to see how the Dow and S&P (two stock market indices) performed every year since the Sports Illustrated Swimsuit Issue was created. The kicker? Their goal was to find out if there were any significant gains when the cover featured a blonde versus a brunette. CNBC found that out of 44 covers from 1964 to present, there were 21 blonde covers, 19 brunette covers, 3 with more than one model on the front (all with differing hair colors), and one (yes, one) cover that featured a redhead. (Sorry reds, we still love you!). Of the blonde covers, CNBC reported the average annual return of the Dow and S&P was 11.6% and 12.5%, respectively. Pretty solid results, considering the network found that the brunette magazine covers only averaged an annual return of 2.2% for the Dow and 2.3% for the S&P. (Sigh). If you're of the dark-haired persuasion like moi, though, don't bust out the peroxide just yet! CNBC also found that models' nationalities also seemingly play a part in higher results. "According to Bespoke Investment Group," they said, "since 1978, the S&P has returned an average 13.9% when an American is on the cover versus a 7.2% average return when a model from another country is on the cover. In more downright silly but amusing hair-color-meets-finance news, The Huffington Post reported a few months ago that experts at Lycos analyzed the hair color of wives of the world's top 100 billionaires to determine if there is a predominant hair color wealthy men go for. Turns out 62% of the world's billionaires were married to brunettes, while 22% of billionaires were married to blondes. Meanwhile 16% were married to women with black hair (um, I thought any shade of dark hair was considered brunette? Interesting...). Lastly, the Daily Mail ran a story last month titled "Blondes have more fun, but for money and love, turn to the dark side" (so funny, I couldn't make this stuff up!). The story alleges that "Researchers carried out a study of 3,000 women and found, on average, that brunettes will earn £4,250 more a year than blondes," along with some other random facts. To read it, click here. Obviously these statistics aren't the most valid, especially considering that brunettes outnumber blondes by a large number internationally, but it's still amusing to see just how people can string together the most obscure facts to answer the most abstract questions. And it's hilarious to read the results. In fact, maybe next time CNBC will tackle the "Does money buy happiness" conundrum! Beautiful brunette on a budget. your blog and your articles have pazzaz with substance. Who you are, wise, fun, brilliant, warm hearted and kind clearly shows through. You are an inspiration to me. How we invest our pin $, our milk $, what we wear, how we strut our stuff, how we adorn the palette of our life is truly our stregnth and you "tout it" with your unique style all the while giving credence to each one of us and our unique individuality. I truly am "uplifted to do what I came here to do" savvy & in style!